Interview: Visalia, California Producer $ammy J Discusses His Brand New Compilation Album "N.$.D"
DCWS connected with Visalia, California based music producer $ammy J for an exclusive interview to discuss his very DOPE new compilation album “N.$.D”, find out what software/hardware he uses to make beats, which legendary producers have inspired him and much more. 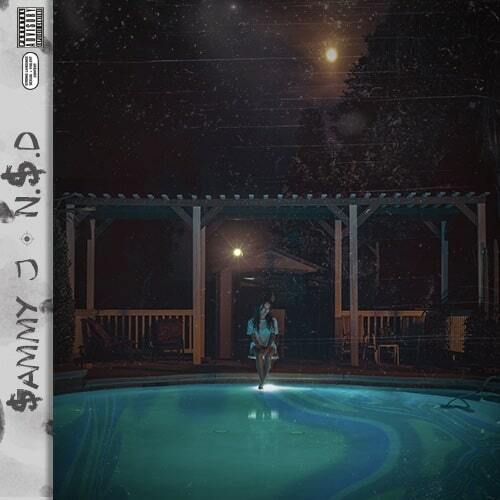 After reading our Q&A with $ammy J, be sure to stream the “N.$.D” compilation, check out our in-depth review and connect with him on social media. Hit him up in the DM; who knows, if you’re an artist, you may have found your next go-to producer to purchase beats from! Tell us about how you got started producing music. Also, which three producers have been the biggest inspiration to you? Back in high school, I fell in love with the sampling art form that producers were doing back in the early-mid 2000’s. The producers back then would speed up old records from the 70’s and put drums over chopped up vocals and that was something I knew I had an ear for, if only I could teach myself how to do that. I researched day and night, watched tutorials on YouTube, downloaded FL Studio and it was a wrap from there. I have to credit the late J Dilla, 9th Wonder, and Kanye for laying down the blueprint for my inspiration. What software and hardware do you use to make beats? I use FL Studio. That’s been the program I started with and been more comfortable using. I’m not too heavy with the hardware. I do have a MIDI Oxygen 49, though. But that’s about it. I got my hard knockin’ speakers and my vinyl record player with an endless amount of vinyl records so I’m good with all that. Congratulations on your new compilation project "N.$.D"! How long did it take to complete and were there any beats that you created for the release that didn't make the cut? Thank you! This project took about a whole year to complete. I had made about a good 50-60 beats that I sent out to the artists for the album and at the end of the process, I honestly had about 30-35 songs to choose from. I had to narrow all those songs down to what would make the album cause I wanted it to be perfect and I also didn’t want it to be boring. I wanted it to be straightforward and diverse so that a lot of the listeners could like it, even for the non-rap listeners. The rest of the songs that didn’t make the album may never see the light of day or I may just use them for a future project. Also, how did you decide which featured artists would appear on certain instrumentals? Since they all have different styles, I chose beats to send to each artist that would fit them or that I knew they could make a great song on. Everything was just a waiting process for the most part, waiting on verses, the artists waiting on their engineers, etc. I just had to be patient. People would always see me and ask me “when’s that album dropping?” And I just didn’t want to rush this project. The wait was all worth it for me. For a lot of people, this is probably their first time hearing a project of mine so I always have to make a good first impression. If you could collaborate with any artist, regardless of genre, on a new song, who would you select? Honestly, probably Khalid. He’s my favorite singer right now. His voice is incredible and he’s really diverse. Every time I listen to his music, it motivates me to go home and make some different vibes, like a vibe that’s just out of the box for me and a challenge on my creativity. Those are the type of artists you need to work with because they make you become a better producer. Say an aspiring producer with $1,000 at their disposal came to you and asked what he/she should buy to start making beats, what would you recommend to them? I would tell them to go buy FL Studio along with a laptop/PC with a lot of memory. I would also make sure they get the best sounding speakers because you want to make sure you can hear every snare, every kick, every sound as crisp as you can hear it, and lastly, I would say a MIDI. All that alone would be just about $1,000 right there. If they’re really about that life and they feel they can dedicate themselves to this music, then I would call that a great investment.